With the arrival of summer comes the desire to trade in high-paced city life in exchange for a relaxing getaway. &nbsp;Luckily, located just 70 miles northeast of Atlanta, Athens, Georgia awaits. &nbsp;Whether you want to get your fill of nature, heritage, music, food, beer, or just fuel your creative juices, Athens&apos; summer schedule provides an amazing value for your entertainment dollar and makes the short drive well worth your time! For just $15 per adult/$5 for kids, light snacks, beer and wine (for those of age) are included- &nbsp;that&apos;s a steal! &nbsp; Tickets for all of the shows are currently available for purchase online. &nbsp;Grab your friends and family, pack a picnic blanket, and come ready to enjoy good music! For some educational fun, Classic City Toursoffers a variety of themed tours that celebrate Athens&apos; heritage and are sure to teach you a few things. &nbsp;We recommend including the Athens Heritage Tour on the top of your to-do list; it&apos;s offered daily at 2 p.m. &nbsp;Featured on the tour are the world&apos;s only remaining Double Barreled Cannon, Athens&apos; oldest house, and the only National Historic Landmark in the area, the Taylor-Grady house. &nbsp;Other tours to consider are the African-American Heritage Tour and the Museum Mile Tour of Athens&apos; four historic house museums. &nbsp;If you&apos;re feeling more independent, self-guided and audio tours are available as well! &nbsp;Reservations may be booked via phone at 706-208-8687. As Hunter S. Thompson said, "Good people drink good beer." &nbsp;We&apos;re sure that his Athens getaway would include touring Terrapin Brewery free of charge. &nbsp;A $10 souvenir glass comes with eight tickets that may be redeemed for half-pours of their award-winning beer. Every Wednesday, Thursday, Friday, and Saturday evening from 5:30-7:30 p.m., come taste and learn about award-winning beer while enjoying live outdoor music. &nbsp;Tell your pets that they&apos;re invited to join the fun as well, so long as they agree to stay on their leash! &nbsp;For more information on the performers, events, and Terrapin beer, see the Terrapin website. For a constant update of live music events, be sure to keep up with the calendars of favorite Athens venues, including 40 Watt Club, Caledonia Lounge, The Melting Point, and&nbsp;The Green Room. &nbsp;Seeing a show at the iconic Georgia Theatre&nbsp;is an absolute must for lovers of music and Athens. &nbsp;Their rooftop bar is a great place to kick back and relax and is now serving food from their neighbor, The Branded Butcher, from 11:30 a.m.-2 a.m. Mondays-Saturdays. &nbsp;The Flagpole music calendar is another great tool to keep up with Athens&apos; music scene. 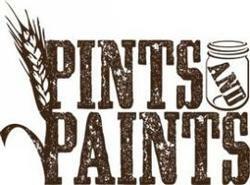 Decompress with some artistic therapy at Good Dirt Studio, Artini&apos;s, and Pints and Paints- all located in the heart of downtown Athens. &nbsp;Good Dirt Studio offers an assortment of clay classes, including "Try Clay" clay sessions on the wheel from 7-9 p.m. every Friday (ages 8+) and "Try Clay" hand-building classes for all ages every Sunday from 2-4 p.m. &nbsp;If you&apos;re more of the painting type, fuel your inner Monet and check out Artini&apos;s and Pints and Paints for a fun guided art lesson. &nbsp;The $20-$35 fee covers the supplies and guidance, and you&apos;ll surely to be impressed with your masterpiece!